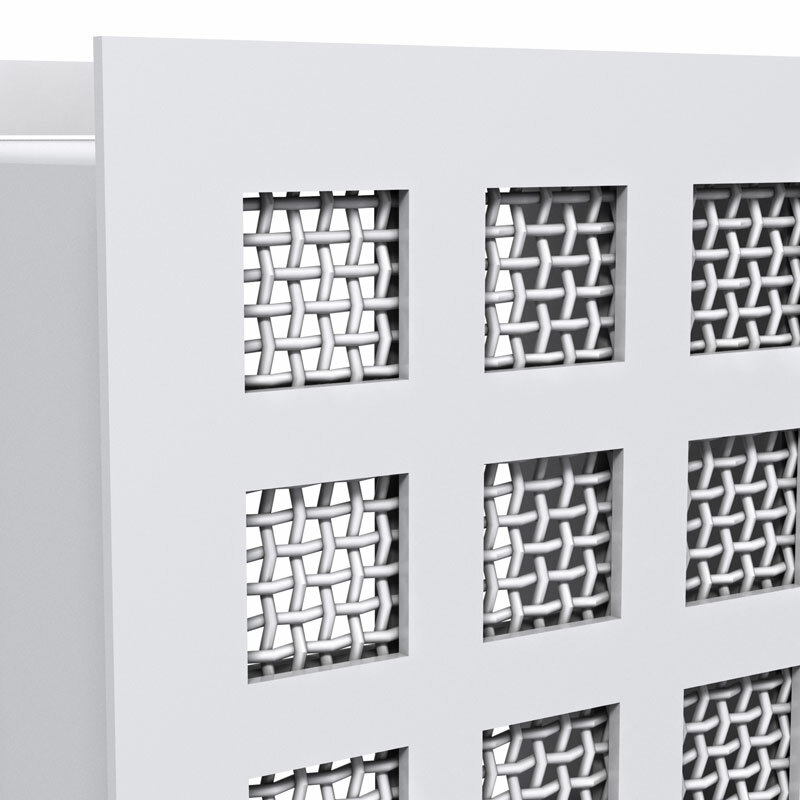 Price MSLG Series 3-tier steel maximum security grilles feature all-welded construction and integral wall sleeves for one of the industry’s most popular grilles. Construction per AST M standards. Face Plate: 3/16" (5) hot rolled steel with 2" (51) square holes and 1" (25) fret. Optional Thickness: 1/4" (6), 10 gauge or 12 gauge hot rolled steel available. For optional face plate patterns. Backer Plate: 1/4" (6) hot rolled steel with matching faceplate pattern. Optional Thickness: 3/16" (5), 10 gauge, 12 gauge hot rolled steel, or hardened steel available. 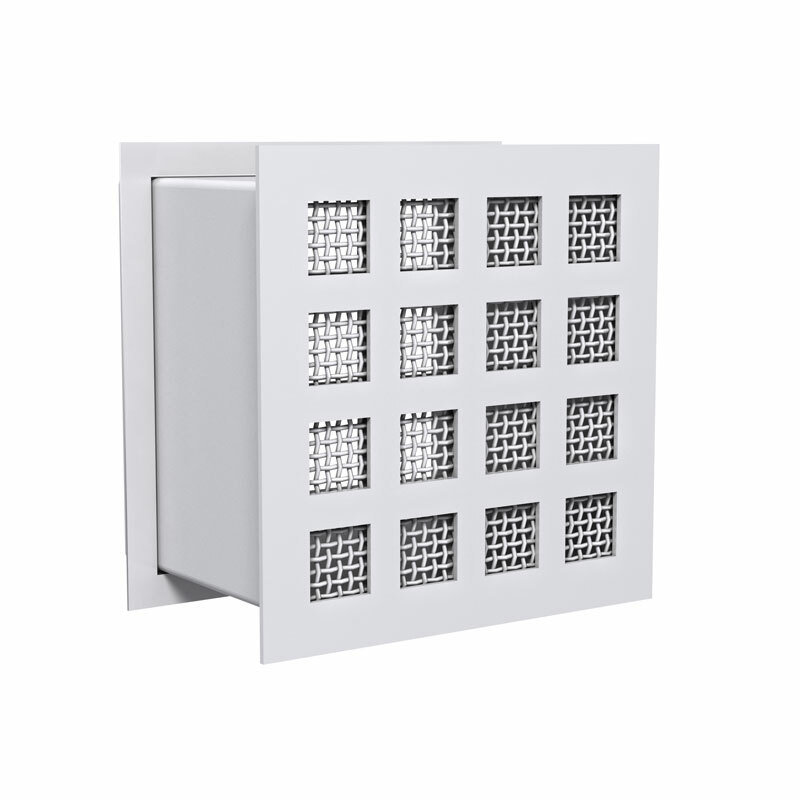 Wire Mesh Barrier Bar: 10 gauge x 3/8" (10) clear opening steel wire mesh sandwiched between faceplate and backer plate. Sleeve: 3/16" (5) hot rolled steel, length as required, stitch welded seams. Optional Thickness: 1/4" (6), 10 gauge, 12 gauge hot rolled steel available. Additional options include continuously welded seams and bent out rear flange (see Option S5). 4 Sided Mounting Frame: 1" x 1" x 3/16" (25 x 25 x 5) hot rolled steel angle frame shipped loose for field welding. For optional mounting frames (see Options MF2, MF3, MF4). 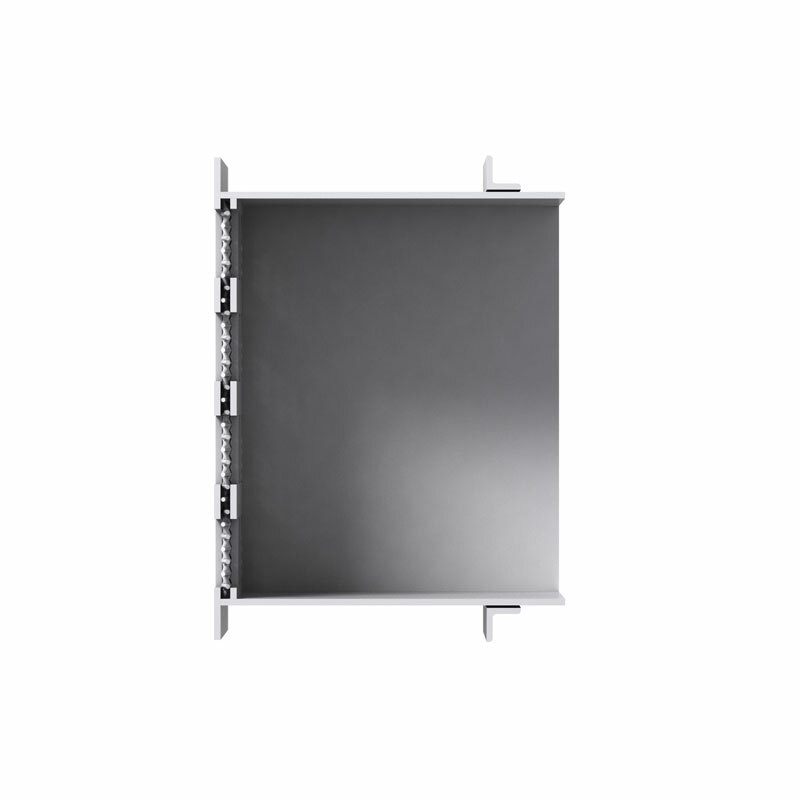 Material: All-aluminum (minimum security), or all 304 stainless steel construction. Fastening Methods: See Options MR6, MR7, CS. Dampers: See Options 3BF, 3BR. Barrier Bars: See Options BB16, BB17, BB18, BB19, BB20, BB21, BB22, and BB23.